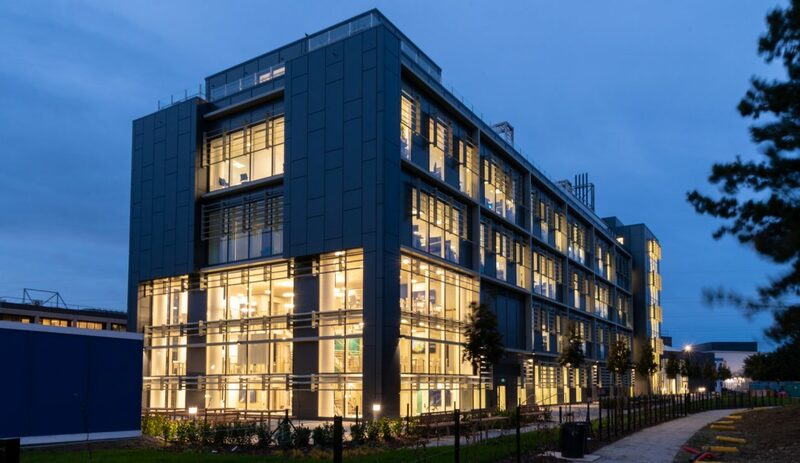 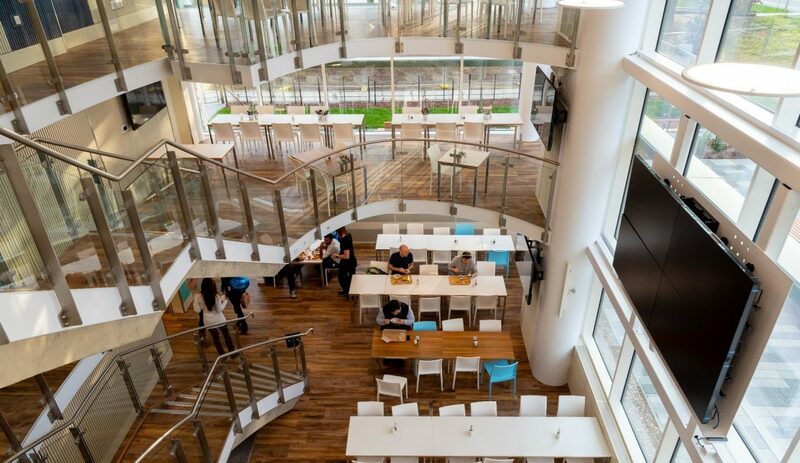 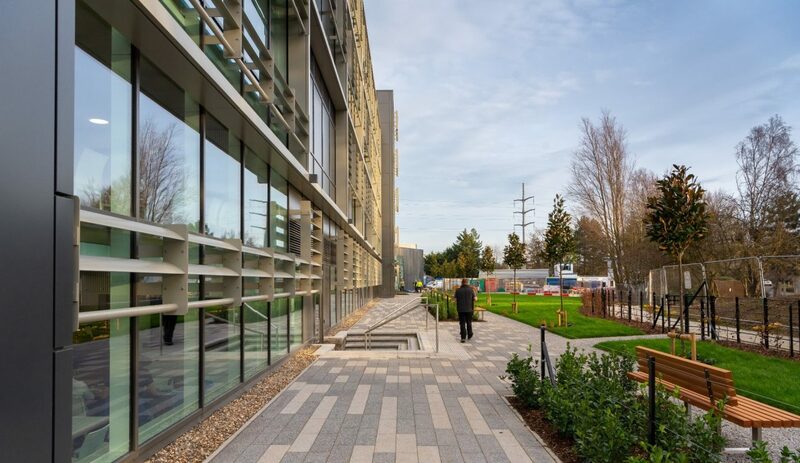 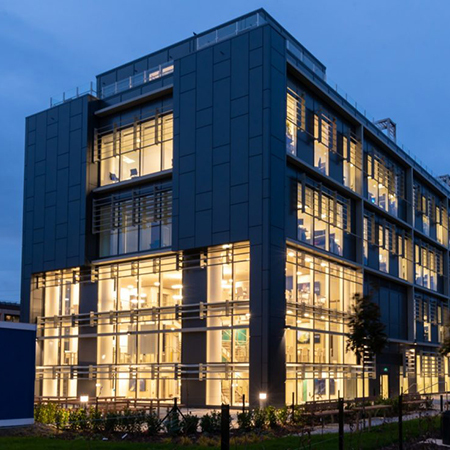 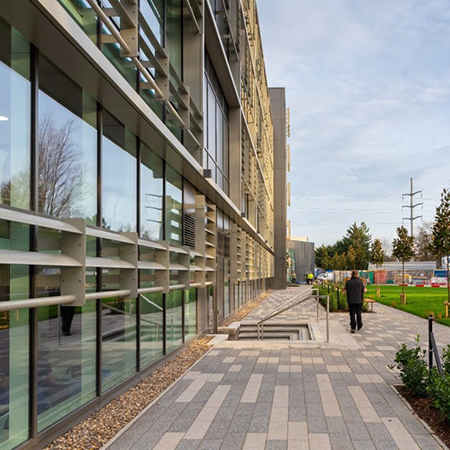 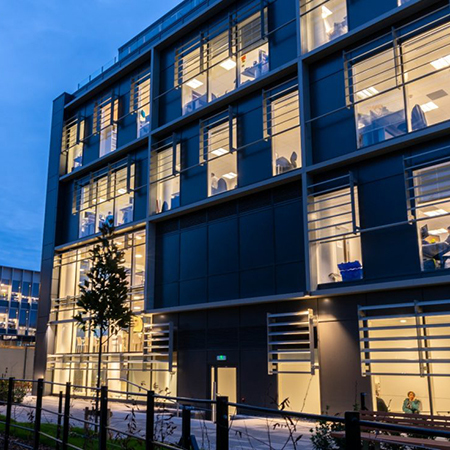 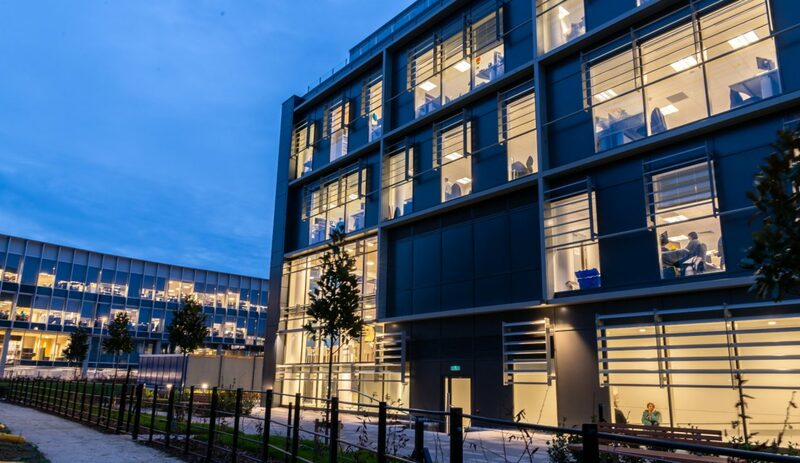 CCL Phase 7 B will extend the existing Cambridge Consultants buildings and provide space for research and development. 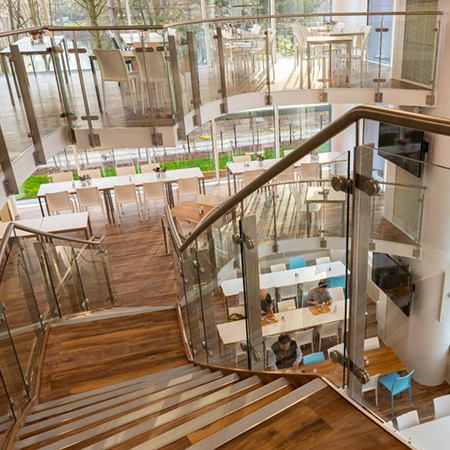 Ba Systems were appointed to deliver both the balustrade and handrail package on this project. 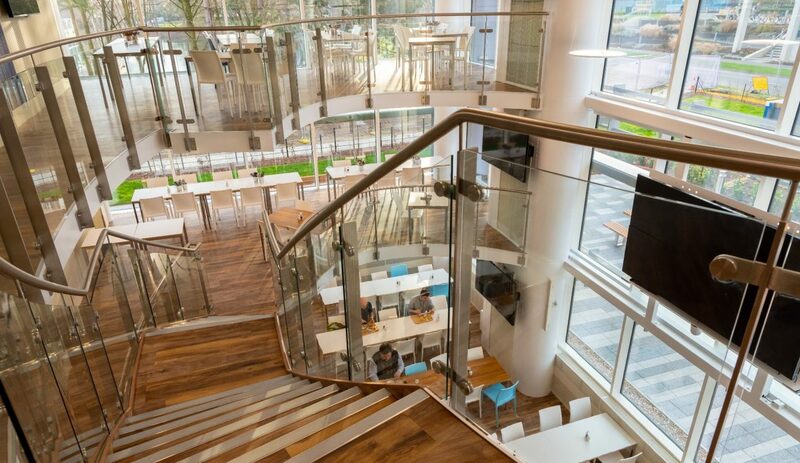 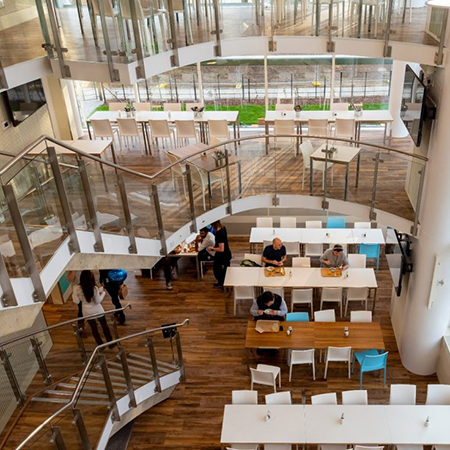 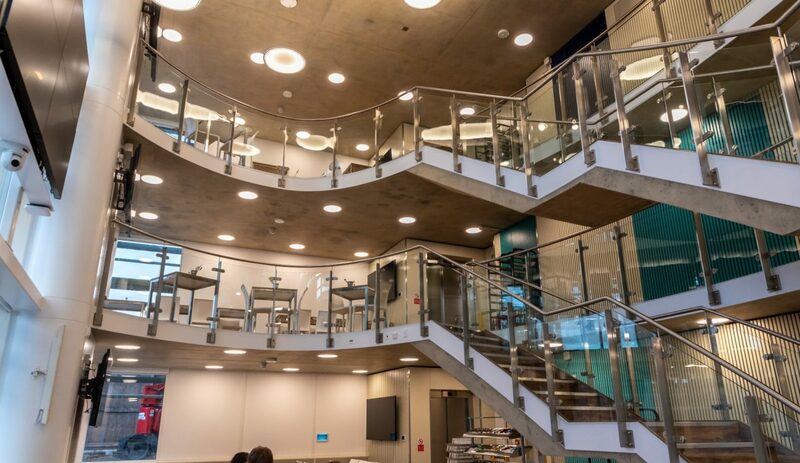 They were asked to deliver bespoke B20 Posts and Infill balustrade for the atrium and the canteen. 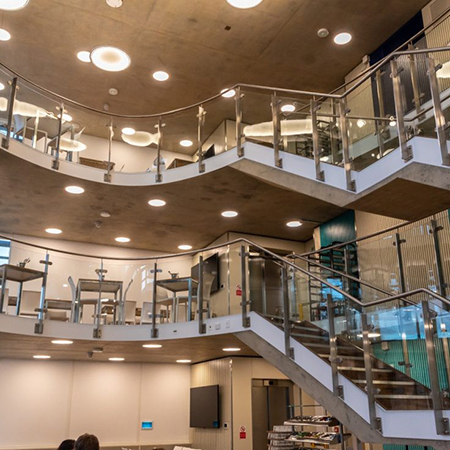 B20 balustrade with satin stainless steel midrail infills were used for the stairs and B20 balustrade with glass infills were supplied for the roof terrace. 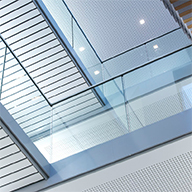 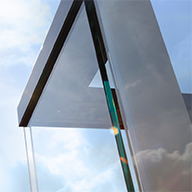 To accommodate the frameless glass balustrade, they proposed a post balustrade with slim flat bar post. 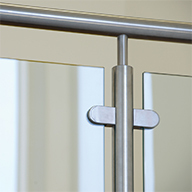 And a 80 x 12mm satin stainless steel flat bar was proposed with our B20 balustrade system. 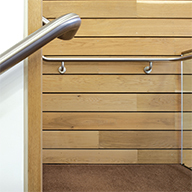 For the roof terrace balustrade, they installed a first fix galvanised steel spigot with a gusset fixing bracket, and a stainless steel post ‘sleeve’ over the spigot. 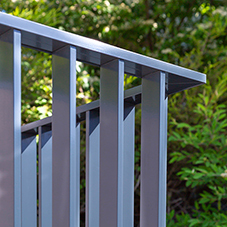 This allowed the balustrade to achieve the 1.5kN/m loading required on this terrace.